Lefay Singer 5 ( 33.86” ) , Lairat Maloeva ( 34.09 “ ) , Marleaux Concat Custom ( 34” ) and Zakrzewski Essential ( 34” ). 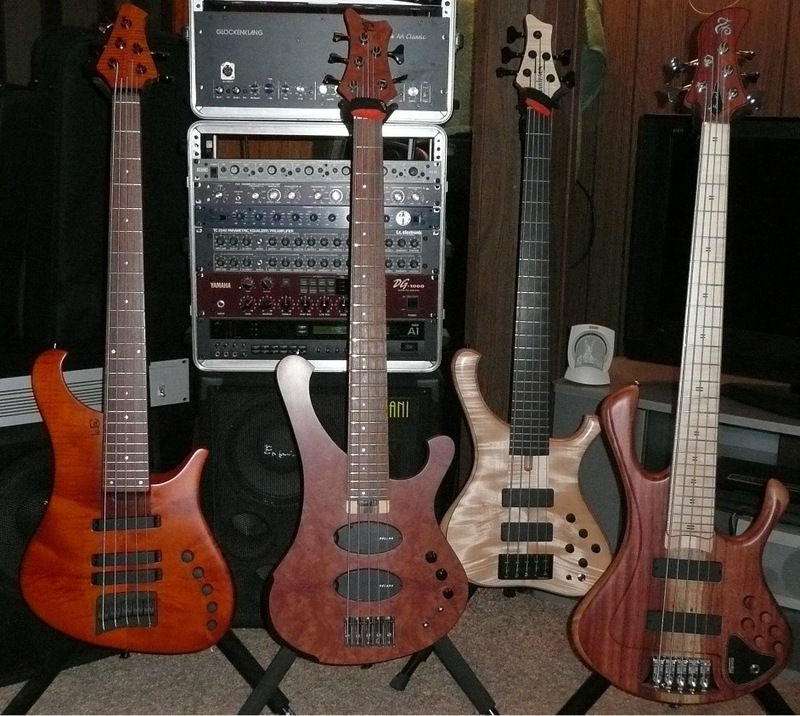 It seems to me like 34” scale basses are making a comeback of sorts. No, they were never gone, but for a number of years it was assumed by many that 35” was best for basses with a low B. Yes, a 35” scale bass SHOULD have a strong low B, but this premise does not mean a 34” will not. Hey, my main bases are 33” scale with low Bs and these Bs are great. The important factor when evaluating a low B on a bass, is “ Does the low B balance well with the other strings ? “ Of course, a weak B that balances with 4 other weak strings is not the goal – I have yet to experience a bass that is weak across the board. Compared to 35s, I find 34” scale basses to be more comfortable for my medium sized mitts. I also prefer the feel of the G and C strings on 34s and 33s – on some 35s these two top strings are too taut for my liking. Players , I ask you “ Do you own and play basses of various scale lengths OR do you have all basses with the same scale length ?